There was a frenzied banging on the front door. When my mother answered it, she recognised her aunt's Jewish cook, ashen-faced, pleading to be let in: "I was on a bus, and the Muslims were pulling the Jewish passengers out and killing them. I said I was a Christian." A month earlier, pro-Nazi officers led by Rashid Ali al-Ghailani, had staged a successful coup in Iraq. The German-backed Rashid Ali and his men were soon routed by British troops - but not before they had incited murder and mayhem against the Jewish "fifth column". Jews recognised some assailants - the butcher, the gardener. But some brave Arabs saved Jews. My aunt tells how the neighbours sheltered her until the trouble had died down. The neighbour was a prominent Nazi, but his wife was "a lady --- she even made the beds for us," my aunt recounts. The Farhud (Arabic for "violent dispossession") marked an irrevocable break between Jews and Arabs in Iraq and paved the way for the dissolution of the 2,600-year-old Jewish community barely 10 years later. A question mark hovers over the role of the British - encamped on the city outskirts, they delayed intervening until the looting had spread to Muslim districts. Yet the victims' screams reached the British ambassador, Cornwallis, who was enjoying a candlelit dinner and a game of bridge. Loyal and productive citizens comprising a fifth of Baghdad, the Jews had not known anything like the Farhud in living memory. Before the victims' blood was dry, army and police warned the Jews not to testify against the murderers and looters. Even the official report on the massacre was not published until 1958. Despite their deep roots, the Jews understood that they would never, along with other minorities, be an integral part of an independent Iraq. Fear of a second Farhud was a major reason why 90 per cent of Iraq's Jewish community fled to Israel after 1948. But the Farhud was not just another anti-Jewish pogrom.The Nazi supporters who planned it had a more sinister objective: the round-up, deportation and extermination in desert camps of the Baghdadi Jews. The Farhud cemented a wartime Arab-Nazi alliance designed to rid Palestine, and the world, of the Jews. The Mufti's postwar legacy endured. The uprooting of the 140,000 Jews of Iraq followed a Nazi pattern of victimisation - dismantlement, dispossession and expulsion. Nuremberg-style laws criminalised Zionism, freezing Jewish bank accounts, instituting quotas and restrictions on jobs and movement. The result was the exodus of nearly a million Jews from the Arab world. 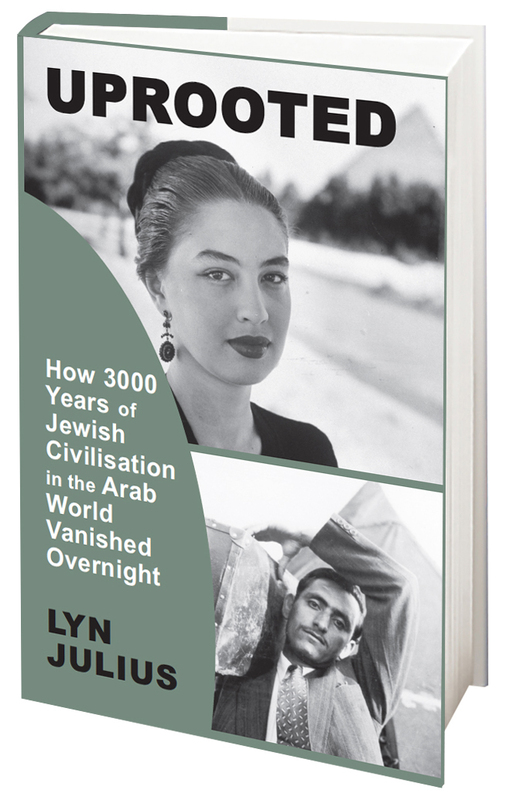 Lyn Julius is a journalist and co-founder of Harif, an association of Jews from the Middle East and North Africa. The Farhud will be commemorated at 7.30pm on June 1 at Ohel David Eastern Synagogue, London NW11. For details see www.harif.org. There will also be a Facebook Virtual Commemoration on 1 and 2 June. Sarah Ehrlich's report on the BBC website. It's not about competing narratives, Anshel! Pfeffer:"The problem with Holocaust overuse is that it moves the focus from the present to history and allows all sides to the argument to get in on the game. When Netanyahu cites the six million, he is giving credence to the Palestinian claim that they were those made to suffer for the genocide of the Jews in Europe. He is directly bolstering the Nakba claims." "Whatever the case, a battle of historical narratives, Holocaust versus Nakba (and it doesn't matter that they are incomparable ), will only perpetuate these claims." "We don't have to give up on the Holocaust - it is our history and holds central lessons for all human beings - but we have to stop using it as a justification for Israeli policies." In the week that we are commemorating the hundreds of Jewish victims of the Farhud, the pogrom perpetrated in Iraq by Arab Nazis in 1941, Anshel Pfeffer's words ring especially hollow. The Farhud is incontrovertible evidence - seven years before Israel was created - that the Arab-Israeli conflict has never been about competing narratives or claims, but antisemitism. That antisemitism was exported from Nazi Germany to the Arab world with the active encouragement of the Palestinian Mufti of Jerusalem. It is still with us today. We know that the Mufti was responsible for tens of thousands of Jewish deaths - both by pressuring the British into closing Palestine's borders to Jewish immigration, and by actively aiding the Nazi genocide. "Gensicke documents the efforts of the Mufti of Jerusalem to contribute to this mass murder. He demolishes the claim that Arabs had no share in that crime. "The Mufti led the “disturbances” of 1936-39, when the number of Arabs murdered by Arabs exceeded the number of Jews murdered by Arabs. The late thirties was the period of England’s appeasement of the Axis. In Palestine this political strategy led to seeking out the bully in the situation, the one most likely to go over to the Axis if not adequately appeased. As such, England appeased the Palestinians with the White book (paper) issued in May 1939. Ignorance may be bliss to some, but when its sufferers are 'top' mainstream journalists, the disease can be dangerous. 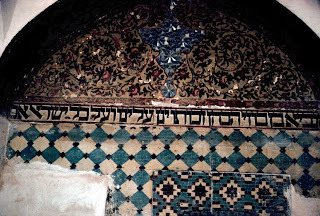 Its exotic name aside, the Farhud wasn't an isolated eruption of anti-Jewish violence in some far corner of the world. According to the historians Shmuel Moreh and Robert Wistrich, it was at least in part an extension of the Nazi war of extermination against the Jews. Moreh is the editor of a 1992 collection of essays on the Farhud, recently revised and updated in English translation. Marking the seventieth anniversary of the attack, he and Wistrich, the distinguished historian of anti-Semitism, recently chaired a provocatively titled symposium, "Nazism in Iraq," in the hope of raising public awareness of the event and combating "Farhud denial" among today's Iraqi Arabs. Mr. Obama’s new proposals were just about as vapid. And there was a glaring omission: His recommendations — debt relief, encouragement of private investment, expansion of trade — trumpeted no call for Arab petro-sheikhs to put their vast dollar holdings where their mouths are. In Mr. Netanyahu’s somewhat condescending if accurate review before Congress of Mideast history since 1947, one base left untouched was the obvious parallel between the region’s Arab and Jewish refugees. Some 800,000 Arabs originally fled or were expelled from a small part of the British Mandate for Palestine when six Arab states tried to smash a U.N.-proposed but self-proclaimed Jewish state. Almost the same number of Jews, curiously enough, who had lived, many for centuries, in Muslim countries, simultaneously fled for their lives. The wealthier ones (particularly in French-colonial North Africa) immigrated to Europe. But the vast majority, with little more than the clothes on their backs, was absorbed by the nascent Israeli state funded by the Jewish diaspora Zionists and generous American taxpayers. Nothing like that happened for those seeking refuge in the vast, oil-rich Arab world. Israel’s Arab neighbors mostly refused to accept the new arrivals, even many with tribal and family affiliations. Worse, the Arab regimes — with enthusiastic help from often incompetent, prejudiced United Nations do-gooders — chose to create “open political sores” — surrounding Israel with semi-permanent, fetid refugee camps. And despite occasional highly publicized “aid” checks, Arab regimes have not made any effort since to address the problem. The media has an enormous impact on public policy. But when the media consistently tells lies, the effect is both destructive and unfair. That's why the media watchdog HonestReporting has made this video exploding the myth of 'Arab East Jerusalem'. East Jerusalem was only under Arab control for 19 years. All the Jewish inhabitants were expelled. Before 1948 and since the city's re-unification under Israeli rule in 1967, Jews lived in the old city and the eastern sector. 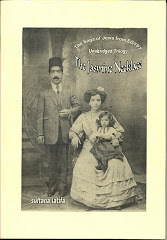 Sima Nightingale 's family lived in Jerusalem's old city for eight generations. She tells how in 1948 Arab snipers on the roof of the nearby synagogue shot dead her grandfather, who had gone to fetch the last of the family's water supply. Puah Shteiner 's family had been in Jerusalem for six generations, ever since her ancestor Rav Eliezer Bergman had arrived in the city in 1835. "The world has heard of Arab refugees, but there were also Jewish refugees," she says on the video. She remembers fleeing her home with only the clothes she was wearing. As our regular reader Eliyahu patiently points out, the first refugees of the 1948 fighting were Jews expelled from the Shimon Hatsaddik area (now referred to by the media by its Arab name Sheikh Jarrah). Perhaps HonestReporting will make a sequel about those Jewish refugees. June 1 and 2 this year mark the 70th anniversary of what became known as the Farhud ( "violent dispossession" in Arabic). As significant as Kristallnacht, the pogrom sounded the death-knell for the oldest community in the diaspora and was a clear demonstration of the hatred exported to the Middle East by Hitler. The Farhud brought to an end 2,600 years of Jewish settlement, yet little has been written about it, very little is taught in Holocaust studies about it, and the British role has never been fully investigated, although many survivors still bear a lifelong distrust of Britain. 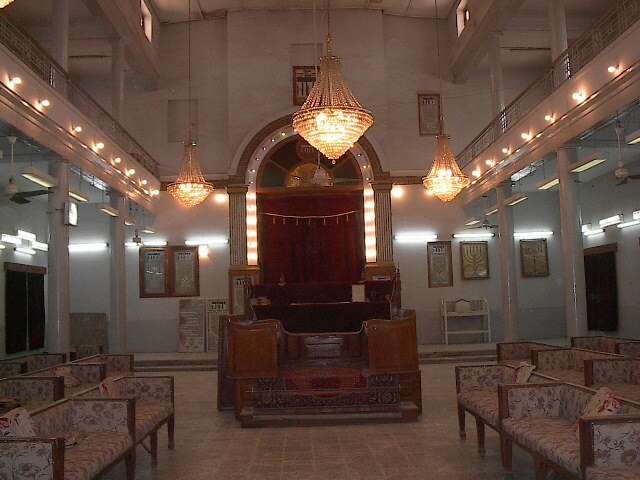 The Jews of Iraq had been living peacefully for millennia in Baghdad since the time of Babylon and by 1941 numbered around 150,000, over a third of the population. Professor Heskel Haddad, now an ophthalmologist in Manhattan, was 11-years- old at the time and recalls a happy and secure early childhood. "We had many Jewish and Arab Muslim neighbours and we were very friendly with them. I was Jewish in religion but I felt very much Iraqi. I loved Iraq and I loved the people, whether Muslim or Jew." One month before the Farhud a violent coup brought a rabidly pro-Nazi lawyer, Rashid Ali al-Gaylani, to power, forcing the country's regent, a friend of the Jews, to seek British protection. Rashid Ali brought to his side the Grand Mufti of Jerusalem, a man with strong ties to the Third Reich who had fled from Palestine. Together, they indoctrinated the country with Nazi propaganda; children in Iraqi schools were taught to praise Hitler and that Jews were the internal enemy; Radio Berlin began regular broadcasts in Arabic. Their aim was to rid Iraq of the British presence and turn the country's oil reserves over to the Germans. Next, Rashid Ali ordered Iraq's military to destroy the British RAF base in Habbaniya, west of Baghdad –– a non-operational flight training centre equipped with antique planes, manned by cadets. Despite the odds, the Iraqi campaign failed drastically. With his forces humiliatingly defeated and British ground troops advancing on the city, on May 30 Rashid Ali fled the country leaving the capital in a vacuum. The regent's return was announced two days later, to the relief of the Jews celebrating Shavuot. Their joy turned to horror however when the Muslims mistook their celebrations to be the result of the country's downfall at the hands of the British. A huge mob gathered, armed with knives, swords and guns, chanting "Ketaal al yehud" ("Slaughter the Jews"). Eleven-year-old Haddad was with his family having a festive meal. "Suddenly we heard screams, 'Allah Allah', and shots were fired," he recalls. "We went out to the roof to see what was happening - we saw fires, we saw people on the roofs screaming, begging God to help them. There was a guy across the street from our house screaming: 'Help me! Give me water!' and my father didn't let me give him water because he was afraid that I might be killed by the gangs. The voice of this man ended an hour or two later when I guess he died." Salim Fattal was also 11, living with his family in the Jewish quarter of Tatran. Like everyone, they were completely unprepared for the violence that hit the city. "We were hiding with all the children and women in the cellar listening to the whistling of bullets around our house," he says. "We had no weapons and there were four men trying to defend 21 women and children with just some sticks and knives. We knew we couldn't defend the house against these armed invaders. It was terrifying." Taken by surprise and with no protection, Jews either defended themselves with whatever they could find or else bribed Iraqi policemen to protect them. Fattal's mother found one near their alley and approached him with a parcel of money. The policeman agreed to stay with them until midnight. The violence worsened during the night and the mob was soon in its tens of thousands, targeting every Jewish home in the city. The task was easy as a red hamsa - a traditional hand symbol - had been painted on the exteriors. "We could hear screams from our neighbours which was a horrifying sound," continues Fattal, even now crying at the memory. "All of them all started to shout and scream and it would last for two minutes or so, and then the sound died. Then the same sound would renew from other directions. These voices have never left me. They were so strong, so close and so clear." By the second day, Fattal could see from his balcony that the mob was attacking his neighbour's house. "We could see them right under our noses and if they had decided to attack us then, no one could have stopped them as it was very easy for the rioters to move from roof to roof. So we called our armed policeman from outside and begged him to fire a few bullets in the air to scare them away. Our policeman insisted on more payment and my Uncle Naim argued that we had already paid him generously. But our policeman kept repeating: 'How much will you pay?' while our situation was getting more and more threatening by the minute. Finally they agreed upon half a dinar per bullet. Had he refused, we would have taken his gun. The policeman fired two shots and paused and then two more shots, until he saw the rioters move away." There were also accounts of Muslims acting heroically to save their Jewish neighbours. Steve Acre was nine at the time, living with his widowed mother and eight siblings in their landlord's house. "Our landlord was a devout Muslim called Hajji who wore a green turban, and when the mob came, he sat in front of them and told them that there were orphans in his house and that if they wanted to kill us, they would have to kill him first. So they moved on across the street." Tony Rocca, who researched and co-wrote Memories of Eden with a survivor of the Farhud, Violette Shamash, agrees. "To Britain's shame, the army was stood down while hundreds of Jews were killed in rioting that raged over two days with damage estimated at £13 million by today's values. Archive material points to one man who deliberately kept the troops out. Sir Kinahan Cornwallis, Britain's ambassador in Baghdad, for reasons of his own, held our forces at bay in direct contradiction to express orders from Prime Minister Winston Churchill that they should take the city and secure its safety." The violence was stopped only when it appeared the rioters were getting carried away and entering Muslim areas. A curfew was called, and Iraqi troops began shooting looters. But the death toll of around 800 and thousands more injured is a memory Acre can never forget. "When you hear yelling and screaming of women and children, it stays with you forever." Witness on BBC World Service will be remembering the 70th anniversary of the Farhud on June 1. Listen online on the BBC website. Yasser Qashlaq, do me, and yourself, a favour. Become a follower of my blog. It might correct a few misapprehensions you have about the Jewish people - notably that the Jews all come from Europe. Apart from the fact that he looks too young to remember Safed, whose Arab population fled in 1948, Qashlaq is one of the new generation of 'denial merchants' who reject the 3,000-year old ties of the Jewish people with the Middle East. He and his ilk refuse to believe that Jews are the only people who have had a sovereign country in that sliver of land they call Eretz Yisrael. It is a source of concern, moreover, that a majority of those Arabs who live with Jews in Israel now believe the propaganda that Jews are not indigenous to the Middle East. Over 62 percent of the Arab citizens of Israel believe Jews are a foreign imprint on the Middle East and are destined to be replaced by Palestinians, and a similar proportion believe that Israel has no right to exist as a Jewish state, according to a nationwide survey. As a matter of urgency, Israel needs to educate Arabs that half of its Jewish population never left the Middle East. It needs to say to Arabs and Muslims that Jews now live in Israel because they and their parents were driven out by Arab and Muslim antisemitism. At the same time, Israel is their legitimate ancestral homeland. It is the Arabs who are the 'interlopers and colonialists'. 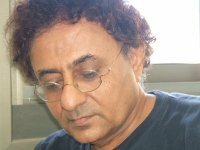 As the great Iraqi-Jewish author Naim Kattan says, one thing an Arab could never tell a Jew was to go back to where he came from: he had been there well before the Arabs conquered the region in the name of Islam. Qashlaq 's venomous hatred - his rant seems even to elicit embarrassed giggles from the other studio guests - is mixed in with traditional contempt: how could the despised Jews - and so few of them - have humiliated the Arabs in Palestine? “I would like to say to Ben-Gurion: You little boy, tomorrow, my little son will stomp on your grave. He will deport your remains to your true country in Europe, and we will return. “Like Imam Khomeini said, back in the day, if each of us were to spit, we would drown out all five million of them,” he continues. “The number of Jews – those human pieces of filth – in my land equals one third of the people of the Nasr City neighborhood in Cairo." What also rankles with Quashlaq is that a dhimmi population has violated the natural order of things. Jews must always submit to their Muslim superiors, never the other way around. At the request of Syrian opposition leaders, Israeli singer Amir Benayoun has recorded three songs in Arabic and dedicated them to activists in the Syrian uprising. One of the songs, “Zini,” has already become a YouTube hit and serves as the soundtrack on a number of Syrian opposition leaders’ Facebook pages. The three tracks are part of an album – also called Zini – released earlier this month on Benayoun’s label, Nevel Asor. The album’s songs, all in Arabic, are adaptations of the Book of Ecclesiastes translated with the help of Benayoun’s Algerian-born father, Maxim. In February, “Zenga Zenga,” a pop mash-up by Israeli DJ Noy Alooshe, became an Internet sensation and the unofficial anthem of the revolt against Libyan dictator Muammar Gaddafi. That success inspired Syrian opposition leaders to ask Ayoub Kara, deputy minister for development of the Negev and Galilee, whether he could convince Benayoun to record a similar track for their own protest movement. Kara said Benayoun (above) is well known in Syria, and that he had previously received requests from Syrian opposition figures to translate the singer’s songs into Arabic. 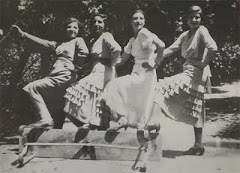 After World War II in 1948, over 80 percent of Libyan Jews moved to the newly founded state of Israel, Goldberg said. Libyan Jews who moved to Israel remained extremely tied to their Libyan roots, according to Goldberg. Goldberg presented an image to the audience that depicted Libyan Jews in Israel carrying signs indicating their village of origin as their sole means of identification. A main coalition of Libyan Jews, called the Committee of Libyan Jewish Communities in Israel, further emphasizes how Libyan Jews choose to identify themselves geographically as separate communities, Goldberg said. “These localities are an expression in a moment where becoming acutely aware of one’s wider engagement to the world was growing.” Goldberg said. Despite the passionate cultural ties that Libyan Jews maintained while in Israel, struggles to preserve the Libyan Jewish identity persisted on a greater scale, Goldberg said. When war broke out in Libya in the 1960s and Muammar el-Qaddafi assumed control of the country in 1969, the situation for Jews still living in Libya became “untenable,” Goldberg said. In one instance of a lack of cultural awareness under Qaddafi’s regime, plans to construct a road in Tripoli destroyed a Jewish cemetery, Goldberg said. In response to discriminatory actions by the Libyan government, many Libyan Jewish leaders “took steps to make sure the memory of the dead and the past in Libya would be made elsewhere,” Goldberg said. One of the most prominent efforts to “solidify” the Libyan Jewish identity included the creation of the Libyan Jews Heritage Center in Israel, he said. The heritage center includes an education and research center as well as a museum, according to Goldberg. While the Libyan Jewish population in Israel remains one of the smallest of North African Jews, Libyan Jews’ integration into Israeli life was successful and relatively quiet, Goldberg said. Update: Blogger David Schraub has gone back to the original material and concludes that the Foreign Policy journalist who wrote the story - Josh Rogin - made up the bit about the 'right of return', thus worryingly misrepresenting the issue as soon as it has gained prominence. He has emailed Rogin for confirmation. Watch this space. Hard on the heels of Bibi Netanyahu's ground-breaking mention, in the White House, of Jewish refugees, deputy foreign minister Danny Ayalon (pictured) says that the issue had to be addressed in any peace deal, The Jerusalem Post reports. The issue of Jewish refugees from Arab countries must be addressed in any final peace settlement, said Deputy Foreign Minister Danny Ayalon. Speaking to journalists on Monday at the headquarters of MediaCentral in Jerusalem, Ayalon said Israel has a moral and legal obligation to demand that the 850,000 Jews who fled Arab lands after the War of Independence be given attention equal to that afforded Palestinian refugees. Ayalon said that bringing this issue to the forefront now emphasized that if a Palestinian state is created, then that country, not Israel, must assume responsibility for the Palestinian refugees, he said. I do understand that at the end of the day we have to find a political solution,” but that will come only when the Palestinians realize that Israel was not responsible for the refugee problem, Ayalon said. Israeli Prime Minister Binyamin Netanyahu spotlighted the Jewish refugees during his joint press conference at the White House with US President Barack Obama on Friday. 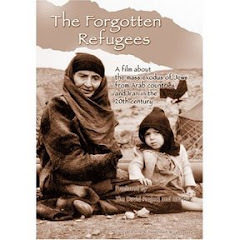 In April 2008, the US House of Representatives passed a resolution recognizing the plight of the Jewish refugees. Last year, the Knesset passed a law mandating that the issue of restitution for Jewish refugees be addressed in any permanent status agreement with the Palestinians. Ayalon also quoted former US Supreme Court Associate Justice Arthur Goldberg, who helped draft the resolution while serving as US ambassador to the UN, as saying that the resolution’s reference to refugees includes both Arab and Jewish refugees. Ayalon also spoke of the massive refugee problem in Europe following World War II, when millions of Russians, Germans, Poles, Czechs and others were displaced. Those refugees were eventually resettled and today the world does not focus on their plight. On the other hand, the Arab refugee population has grown from an estimated 500,000 to 700,000 who left Israel in 1948 to four million today. These refugees are being kept in poor conditions so they can be used “as political pawns against Israel,” Ayalon said. While none of the Jewish refugees from Arab countries threatened the existence or security of their native lands, some of the Arab refugees became refugees because they joined the campaign to destroy Israel in 1948, Ayalon said. The issue of the Jewish refugees must be addressed if Jews and Arabs are to achieve true peace and reconciliation, said the deputy foreign minister, who was born in Israel but whose family originates from Algeria. He noted that “some kind of redress may be appropriate,” and said former prime minister Menachem Begin spoke about the Jewish refugees with former Egyptian president Anwar Sadat at Camp David in 1978. The press briefing also included comments from Gina Bublil Waldman, who was forced to flee from Libya with her family after the Six Day War in 1967. Today, Waldman is chair of Jews Indigenous to the Middle East and North Africa, a San Francisco-based organization which seeks recognition for Jewish refugees from Arab lands. Seder night was cancelled in Alexandria this year. For the first time ever, the handful of Jews and Jewish tourists living in the Egyptian city were not able to celebrate the festival of Jewish freedom. The reason? The security forces could not guarantee their safety at night. However - the security people told Ben Gaon, the timorous community head - they would allow a Seder during daylight hours. 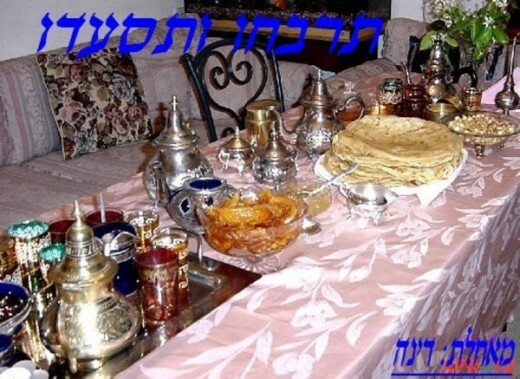 A Seder during the day? Whoever heard of such a thing! And so Ben Gaon cancelled it. Mindful that Jewish life in Egypt is barely ticking over - it's on life support - the London/Paris-based Nebi Daniel Association has for some years been trying to salvage what it can of Egypt's glorious Jewish heritage. In Alexandria , there is one functioning synagogue, and even that is mostly closed and heavily guarded. 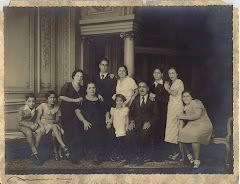 Nebi Daniel's efforts are focused on trying to gain access to the communal birth, deaths and marriage records still essential to Egyptian Jewish life in exile. These efforts concern only Alexandria: the community leader in Cairo, Carmen Weinstein, will not cooperate. Roger Bilboul explains that the Egyptian authorities will not release the Jewish records, as they are considered part of the national heritage. But Jewish visitors have been known to tear pages out of communal registers, so Nebi Daniel has been trying to persuade the Egyptians to allow the documents to be made accessible yet safe, in case they are destroyed by fire or worse. Nebi Daniel extracted a promise from the erstwhile culture minister Farouk Hosny, who in spite of his legendary antisemitism, wrote a letter delegating the task to a subordinate. But Hosny is now in disgrace as a member of the Mubarak old guard, and Nebi Daniel's only hope is invested in the Head of the Egyptian Antiquities Authority, Zahi Hawass (no friend of the Jews, he - either). 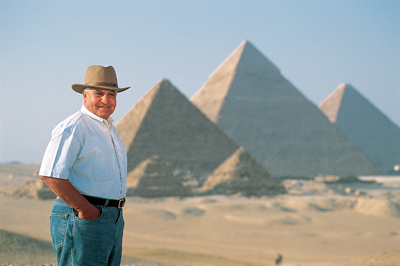 Hawass miraculously survived a ministerial purge, even getting a promotion. But now Hawass is in trouble again, is busy fighting lawsuits, and has only just escaped a one-year jail sentence for corruption. So the post-revolutionary future looks bleak to Nebi Daniel, as they run out of Egyptian officials they might interface with. Meanwhile, the fabric of Egyptian Jewish heritage carries on crumbling with each passing year. Good on you, Rabbi Akiva Herzfeld. 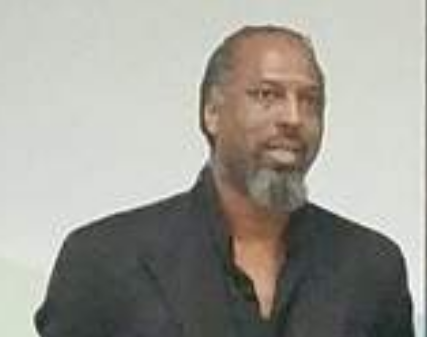 Reacting to the one-sidedness of President Obama's major foreign policy speech, you have some important home truths to tell the good citizens of Portland (Maine), according to the Portland Press Herald. I believe that in the very way that our president tells the Israeli and Palestinian story, he himself has been unfair. It's a radical idea to fix current events by ignoring history. Obama has ignored a critical story of the past, that of the Jewish refugees from Arab lands, in his most recent speech about Israel. A full knowledge of history should change our understanding of what is actually "fair" for the present. The Palestinian refugee story has received much attention, but the parallel story of loss and exile endured by many Israeli refugees, despite its significance, has not received attention. For example, last Monday The New York Times printed a commentary by the head of the Palestinian Authority, Mahmoud Abbas. Sixty-three years ago, Abbas writes, he was "forced to leave his home" in the city of the Safed and "flee with his family to Syria*." Abbas explained that on Nov. 29, 1947, the United Nations declared its approval of the partition of Palestine. The U.N. resolution called for the territory of Palestine to be divided between Israelis and Palestinians. After that resolution, Abbas writes, "Zionist forces," in his words, "expelled" the Palestinians from their territory. Abbas grew up in a refugee tent camp in Syria, exiled from his birthplace. This is the Palestinian story. They want sympathy for remaining in refugee camps, and they blame Israel and the Jews for their hardships, and for the current refugee problem. The story that Israelis know as true is much different. The Jews were expelled from their homes in Arab lands in the same way that Mahmoud Abbas claims he was expelled from his home in Israel. Before the 1947 U.N. resolution, there were hundreds of thousands of Jews living in Arab lands. Following the 1947 declaration, which advocated two states, one for Israel's Jews and one for Arab Palestinians, the Jews reacted with gratitude and happiness. The resolution did not meet all the Jewish needs, but there was willingness to compromise. In contrast, the Palestinians and Arab states reacted with violence to the resolution. This would be a telling moment for the future. As many see it, with every Jewish compromise for peace, Arab violence is sure to follow. On Nov. 30, 1947, The New York Times reported: "There was an open thread of warning running through all the Arab delegates' comments on the Assembly's action. They spoke of bloodshed to come." On Dec. 1, the Times reported that in Damascus, "crowds converged on the American and French legations, stoning both buildings and hauling down the flag flying in front of the United States building." Syrian President Shukri Bey al-Kuwatli assured the mob: "Partition will not be accepted and will not be enforced before the last Arab is annihilated." He declared: "Partition threatens not only Syrian independence but the very being of all Arab nations." That same day, the headline announced: "Palestine's Arabs Kill Seven Jews, Call 3-Day Strike." The chair of the Palestine Arab Higher Committee declared "a crusade against the Jews." The Arabs, he said, "would fight for every inch." On the same day, rioters in Aleppo, Syria, set fire to one of the oldest Jewish synagogues in the world. As they burned down the holy synagogue, the Arab mob chanted: "Falastin Baladna al Yahud kalabna" -- "Palestine is ours, and the Jews are our dogs." There are no Jews left in Syria (well, a handful - ed). The Jewish Syrians fled their birthplace. Behind them, they left personal property and emotional memories. This is just one Jewish community in just one Arab town. Similar stories took place for the Jewish people in other Arab lands. As the children of Jewish refugees went to work building in Israel, the Arab countries to which Palestinians turned have made those Palestinians sit and wait. The story of the past should be heard, but unfortunately, too often, only one story, the Palestinian story, is told. If Obama truly seeks a "just and fair" resolution, he must seek to understand the histories of both sides. *Efraim Karsh questions whether Abbas was expelled at all. Tomorrow, Monday 23rd May, Deputy Foreign Minister Danny Ayalon will speak at a media briefing on the subject of the Jewish refugees from Arab lands and its significance for negotiations and the peace process. The briefing will also include speakers from JIMENA (Jews Indigenous to the Middle East and Northern Africa), who will talk about the history, significance and legal aspects of the Jewish refugee issue. This issue is especially relevant in light of the attention brought to it during Prime Minister Netanyahu's meeting with President Obama and the recent events surrounding the commemoration of the so-called Palestinian 'Nakba' . The briefing will begin at 12:00 at MediaCentral (8 HaRav Kook Street, Jerusalem). The briefing is open to the media and will include a question and answer session. The British government has been asked to look at what steps can be taken to help Yemeni Jews escape the Middle East and settle in Britain, The Jewish Chronicle reports. Mike Freer, MP for Finchley and Golders Green, raised the plight of around 70 Jews in the Arabian peninsula during Home Office questions in the Commons. They have links to families already living in Britain, and are among around 200 Jewish families (individuals? - ed) left in Yemen. The MP asked what could be done to facilitate visa applications for those living in the town of Raydah, around 50 miles north of the capital, Sana'a. He said political unrest, and the growing threat of Islamist extremists, meant many Jewish families feared for their lives and had been waiting "months" for visas. A number have had to go to the British embassy in Cairo (Sa'ana? -ed) to have their applications processed. Immigration Minister Damian Green said he was aware of the issue. In the latest of his well-researched and hard-hitting articles, the influential Maariv columnist Ben Dror Yemini (pictured) focuses on the real Palestinian Nakba: the story of Arab apartheid. 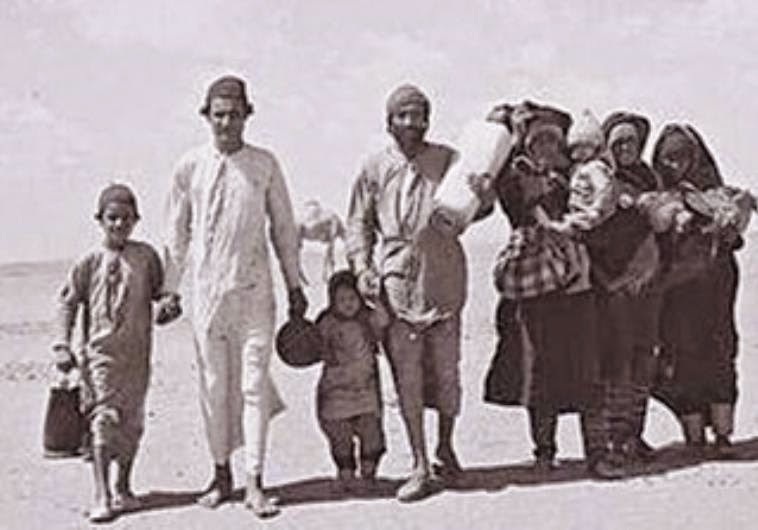 Tens of millions, among them Jews, suffered from a 'nakba' of dispossession, expulsion and displacement, but only the Palestinians remained refugees because they were treated to abuse and oppression by the Arab countries. In previous articles on the issue of the Palestinians, we explained that there is nothing special about the Israeli-Arab conflict. First, the Arab countries refused to accept the proposal of partition and they launched a war of annihilation against the State of Israel which had barely been established. All precedents in this matter showed that the party that starts the war - and with a declaration of annihilation, yet - pays a price for it. Second, this entails a population exchange: indeed, between 550,000 and 710,000 Arabs (the most precise calculation is that of Prof. Ephraim Karash, who calculated and found that their number ranges between 583,000 and 609,000). 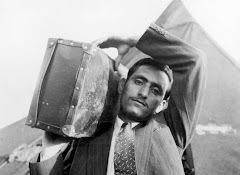 Most of them fled, a minority were expelled because of the war and a larger number of about 850,000 Jews were expelled or fled from Arab countries (the “Jewish nakba”). Third, the Palestinians are not alone in this story. Population exchanges and expulsions were the norm at that time. They occurred in dozens of other conflict points, and about 52 million people experienced dispossession, expulsion and uprooting (”And the World is lying”). And fourth, in all the population exchange precedents that occurred during or at the end of an armed conflict, or on the backdrop of the establishment of a national entity, or the disintegration of a multinational state and the establishment of a national entity - there was no return of refugees to the previous region, which had turned into a new national state. The displaced persons and the refugees, with almost no exceptions, found sanctuary in the place in which they joined a population with a similar background: the ethnic Germans who wore expelled from Central and Eastern Europe assimilated in Germany, the Hungarian refugees from Czechoslovakia and other places found sanctuary in Hungary, the Ukrainians who were expelled from Poland found sanctuary in Ukraine, and so forth. 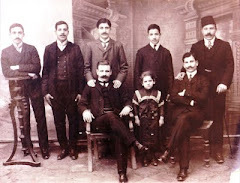 In this sense, the affinity between the Arabs who originated in mandatory Palestine and their neighbors in Jordan, Syria and Lebanon, was similar or even greater than the affinity between many ethnic Germans and their country of origin in Germany, sometimes after a disconnect of many generations. Only the Arab states acted completely differently from the rest of the world. They crushed the refugees despite the fact that they were their co-religionists and members of the Arab nation. They instituted a régime of apartheid to all intents and purposes. So we must remember that the “nakba” was not caused by the actual dispossession, which had also been experienced by tens of millions of others. The “nakba” is the story of the apartheid and abuse suffered by the Arab refugees (it was only later that they became “Palestinians”) in Arab countries. Under 100 arrived for the traditional Lag La'Omer celebration on the island of Djerba, despite its cancellation due to security concerns and travel warnings, The Jerusalem Post reports. A small group of Jewish pilgrims gathered on an Tunisian island to visit one of Africa's oldest synagogues but worries over continued unrest kept many away from the annual event. About 5,000 pilgrims from Tunisia and abroad usually travel each May to the El Ghriba synagogue on Djerba island in the south to mark Lag Ba'Omer. But this year less than 100 took part and organizers cancelled traditional celebrations because of security concerns and lack of participants. Only a few pilgrims came this year as the country struggles to restore order following the overthrow of Tunisia's authoritarian ruler Zine al-Abidine Ben Ali in January. "This year was an exception, the atmosphere is different because of security in the country. It is a real shame," Perez Trabesli, the head of the Jewish community in Djerba said late on Friday, the day that usually draws the most pilgrims. Netanyahu remembers me after all! The Arab attack in 1948 on Israel resulted in two refugee problems - Palestinian refugee problem and Jewish refugees, roughly the same number, who were expelled from Arab lands. 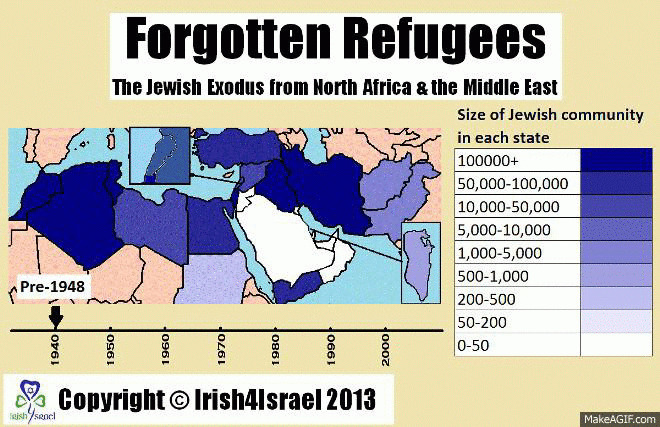 Now, tiny Israel absorbed the Jewish refugees, but the vast Arab world refused to absorb the Palestinian refugees. Now, 63 years later, the Palestinians come to us and they say to Israel, accept the grandchildren, really, and the great grandchildren of these refugees, thereby wiping out Israel's future as a Jewish state. So it's not going to happen. Everybody knows it's not going to happen. And I think it's time to tell the Palestinians forthrightly it's not going to happen. The Palestinian refugee problem has to be resolved. It can be resolved, and it will be resolved if the Palestinians choose to do so in a Palestinian state. So that's a real possibility. But it's not going to be resolved within the Jewish state. The President and I discussed all these issues and I think we may have differences here and there, but I think there's an overall direction that we wish to work together to pursue a real, genuine peace between Israel and its Palestinian neighbors; a peace that is defensible. When President Obama made his Cairo speech in 2009, the Egyptian-Jewish author Andre Aciman wrote a heart-felt piece for the New York Times : "the President forgot me," he complained. Standing in the heart of Cairo, where 80,000 Jews once lived, Obama forgot to mention Aciman and the other 800,000 Jewish refugees driven out of the Arab world. President Obama's major foreign policy speech yesterday has already generated reams of analysis and megabytes of reaction. But no pundit has yet pointed out that once again Obama still hasn't remembered 'me' - he failed to mention Jewish refugees. He referred to Palestinian refugees all right, as one of the 'emotional' issues that should be deferred in talks between Israel and Palestinians - ignoring the fact that all official documents and UN Security Council resolutions to-date talk of the rights of 'refugees', not just Palestinian refugees. You might argue - how can one expect Obama to mention Jewish refugees when Benjamin Netanyahu himself, in his rebuttal to Mahmoud Abbas' op-ed in the New York Times, chose not to. Yet a source in the Prime minister's office has given us reason to believe that Netanyahu was originally going to mention 'two sets of refugees'. With the notable exception of deputy Foreign Minister Danny Ayalon, the present Israeli government has made little public mention of Jewish refugees. And amid such high- level timidity, how can we expect the press and media to highlight the issue? 1. The ethnic cleansing of Jews from Arab countries is proof of the Arab world 's longstanding nationalist and Islamist genocidal intentions against the Jews of the region, now focusing on the eradication of the world's only Jewish state. 2. The subjugated history of Jews under Muslim rule, their sporadic persecution and forced conversions vindicates the creation of a sovereign Jewish State. 3. The main issue on the Israel-Palestine peace agenda is the 'right of return'. 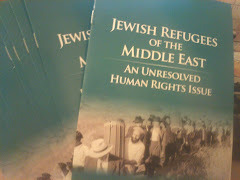 The Jewish refugee issue neutralises the Palestinian 'right of return' by a) drawing attention to an exchange of refugee populations of roughly equal proportions by b) by positing a model of absorption and integration for Palestinian refugees denied basic civil rights in their host countries. 4. Jewish refugees are a human rights issue deserving of justice (recognition and compensation). Do you hear me, Mr President? Do Israelis fear the M-word?